With numerous resources devoted to D&I, it is no surprise that EY ranked fourth on this year’s Inclusive Top 50 UK Employers List. Their flexible recruitment, charitable foundation, staff networks and clear strategy have all contributed to ensuring this large organisation is recognised as one of the UK’s most inclusive organisations. EY have demonstrated transparent focus on creating parity in the workplace for all of their people, committing significant time, resources, energy and creative juice to the challenge. Over the past five years in particular, they have taken significant action to improve the attraction and retention of women and ethnic minorities at all levels of the organisation. They have increased their female partner population in UK and Ireland to 20% and their female senior manager population to 41% (up from 35% in 2012). They have increased their ethnic minority partner population to 8% (up from 4%) and 21.41% of their employees are from a black or minority background building a stronger talent pipeline. 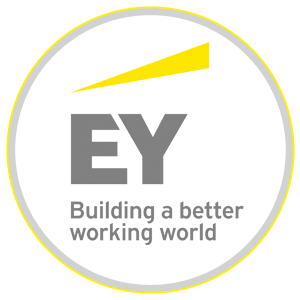 EY performs an annual declaration, which requires employees to declare that they have read and complied with all HR policies e.g. the code of conduct policy. They also incorporate diversity and inclusiveness into all new joiner Inductions (‘Welcome to EY’, a compulsory first day course for all new joiners to the UK firm) which incorporates an interactive session on D&I, including: the reasons that it is business imperative for EY; the role each employee plays in creating an inclusive culture; where to seek support and help if required; and how to access their policies. To further widen the pool of talent, EY are proud of two particular steps they have taken. Firstly, since August 2015 candidates are no longer required to have a minimum of a 2:1 degree and 300 UCAS points to make an application. Instead EY assesses candidates on validated, strengths based selection process. This is via a framework measured across a suite of online behavioural and cognitive assessments, telephone interview, an immersive assessment centre and a final interview with a Partner. The online assessment techniques in particular are designed to ensure predictive validity in the recruitment process, removing the need for a heavy reliance on academic requirements. As a result, 27% of their 2016 applicants would not have met their previous year’s academic criteria and 18% of EY’s Graduate and School Leaver intake would not have met their previous academic requirements. Secondly, EY have fully embraced the Apprenticeship opportunity and announced 200 Graduate Level (Level 4) apprenticeships March 2016 during National Apprenticeship week. The first cohort joined EY in September 2017 and applications were up 25.2% year-on year. In addition to removing academic entry requirements for both student recruitment and apprenticeships, EY operate a blind screening process whereby no decisions within candidate screening are made based on reviewing a CV, work experience or similar. Each stage of the process is designed to ensure that there is no adverse impact on D&I or social mobility. 2 years since removing the academic screen, they have reviewed the impact these changes have had on the profile of their 2016 student recruitment intake: applications to their student programmes increased 75% year-on-year. The EY Foundation supports young people facing barriers to entering the workforce with the skills, support, experience and opportunities necessary to succeed. Their longest running programme is named Smart Futures and was designed to specifically support 16-17 year old’s from low income backgrounds through 10 months of employability skills training, paid work experience and mentoring. 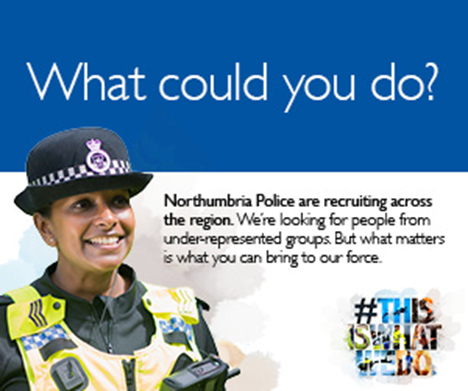 As well as their Inclusive Leadership Programme, they have a number of targeted leadership development programmes whose objective is to ensure their senior talent progresses, such as the BME Leadership Programme, Women’s Leadership Programme, Career Watch, Navigator & Bridge the Gap. Their EY RECONNECT initiative is aimed at career returners, both male and female, providing managers and above who are returning from a career break the chance to ‘reconnect’ with the business world after an extended break, and for EY to ‘reconnect’ with this pool of talent. From an attraction perspective, EY have also utilised the power of their employee affinity networks to really help drive their position on D&I across all of their marketing activity. This includes profiling role models on their website and collateral, through to ensuring that they had diverse representation on campus. Their 26 employee networks are fully inclusive and welcome members from any background. There are over 13,000 members across EY networks, which delivered 282 diversity events in FY17 which saw c.1,000 clients in attendance throughout the year. EY offers a mentoring scheme through their self-serving Mentor Match tool where employees can search for a mentor based on what they are looking for. EY currently have approximately 640 mentors across levels and service lines. In terms of specific diversity initiatives, EY sponsor Student Pride and Transfer Your Skills and also have a dedicated area on their website focusing on culture and equality within EY. Finally, they always have an ‘on’ approach to communication with 14 employees at any one time being online to answer any questions employees may have. EY is committed to building a better working world — for their people, their clients and their communities.